To lift everyone's spirits after Blue Monday, what could be better than a bit of dreamy Italian holiday inspiration?! I've put together a list of 18 Trips to Take in Italy 2018 to help you explore areas you may not have heard of. Where I know experts in these destinations I've asked them to tell us why their town/ city is wonderful. I've chosen places which offer something a little bit different. We all know Rome and Milan are bucket list destinations but what if you want to find somewhere new? I mention Venice first as on 3rd February 2018 the next Carnevale di Venezia will begin! I went to Venice carnival years ago just after getting married and it was one of the most incredible trips I've taken. I've visited Venice many times. It's always special but during carnevale the city takes on it's own unique magic. To enjoy the atmosphere you don't need to be attending an event you can just book to go there for a weekend and you will see people in full masked attire wandering the streets. However if you do want to dress up and go to some organised events it doesn't have to cost the earth. Read here about how we took part in this amazing Venice festival. If you'd like to try Venice with a difference, have a read of this article about eating out in Lido di Venezia from Eva at Captain Bobcat. Assisi is a small town in beautiful, peaceful Umbria and the birthplace of the famous Saint Francis and his Franciscan order. The Franciscan structures, have been collectively designated a World Heritage Site by UNESCO. However apart from the stunning Basilica of San Francesco d'Assisi and the monastery il Sacro Convento, there are two medieval castles, the larger, Rocca Maggiore is particularly impressive. You can also visit the Temple of Minevra, Piazza del Comune and many others ancient monuments, towers and an amphitheater. Assisi has so much history! We were surprised how much has survived the earthquakes of 1997. The town's architectural jewels mentioned above appear untouched. So what else can you do once you've become a real culture vulture? Eat and look at the views! The views across Umbria are breathtaking. The food is wholesome, hearty and all local. This is one of my absolute favourite places in Italy. So small, so overlooked but one of the most memorable! 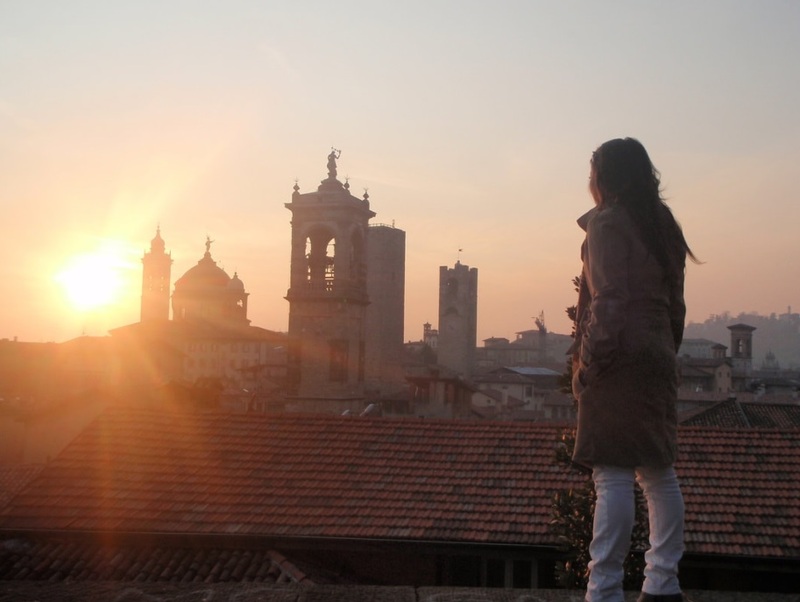 Jasmine moved to Bergamo with her Italian Husband and is now an expert on it's quirks and perks! Bergamo is a hidden gem. I know everyone says this about their town but mine really is. It’s constantly overshadowed by nearby Milan and unjustly so because Bergamo is about a million times better (please note that I have been slightly brainwashed by my husband who is “bergamasco”, born and raised!). Bergamo is made of two “separate” cities: Città Alta (the Upper City) and Città Bassa (the Lower City). Città Alta is home to the medieval section and completely surrounded by stone walls that were recently named a UNESCO World Heritage Site last year. In contrast to the Upper City, Città Bassa is the modern part of the city where you can find a smorgasbord of restaurants and shops just like in any other city in Italy and Europe, for that matter. The nightlife is in the lower section, the romantic panoramas in the upper. Is there more perfection than this? To read more about Jasmine's adopted home of Bergamo, read her full article here. When I told friends I was moving to Bologna, those who had already visited were enthusiastic in their praise of the city. But it's a pretty easy city to fall in love with. I moved recently, but I first visited 16 years ago and the thing that stuck with me the most was the colors of the buildings -- seemingly a million shades of oranges, yellows, pinks. They're particularly breath-taking on a sunny day, especially along one of the canals in the city. Then add in the famous portici (the covered colonnaded walkways) that cover almost 40 kilometres of the city. Thus, even when travelling on foot, you're travelling in style in Bologna. I'm constantly in awe of the variety of columns and vaulted ceilings overhead. And the food? One of Bologna's nicknames is "La Grassa" (the fat), because of how tempting and delicious the food is: tortellini, lasagne, tagliatelle al ragù (the real spag bol), and meats and cheeses to die for. In between finding any excuse to eat, there is stunning architecture, great shopping, fantastic museums, and pretty spectacular street art. 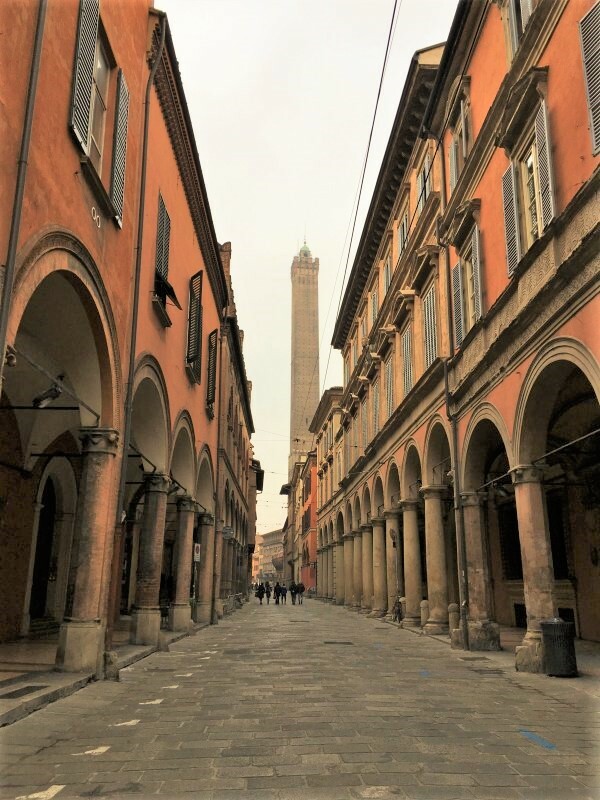 It's a university city (home to the oldest university in the West), but not fully on the tourist path yet, so there's a vibrant, authentic feel to life in Bologna. It puts a smile on my face every day. I recently described Mantova as one of my favourite Italian cities. It is for good reason. It's architecturally beautiful, has plenty to see but it can all be done on foot. Rotonda di San Lorenzo, the cute, rotund building on the right! Then go and eat in Piazza delle Erbe - You will feel like you're in a film set. Home to Parma ham and Parmigiano-Reggiano (Parmesan) cheese you already know you will eat well while you're staying in Parma! So what can you see here and what makes it different? The buildings have a delicate honey colour and are grand. The Opera house Teatro Regio, is considered one of the true homes of Italian opera and became famous as the composer Giuseppe Verdi, is from here. Much of the city is pedestrianised so you can walk everywhere to explore. Parma feels cosmopolitan, cool, youthful and yet quietly aware of it's aesthetic and heritage. It's not as frantic and commercial as Milan and not bursting with tourists like Florence. It's very livable. Perugia is a small ancient city, perched on top of a hill. It's surrounded by a patchwork of fields and tiny villages. You are looking down at all of unspoilt, delightful Umbria. Umbria the poor cousin to Tuscany but actually richer (In my opinion) due to the lack of tourists and incredible countryside. Perugia is a university town so it's youthful, fun and the students bring a vibrance to the city. It's also serious though in that it has an immense history to it. There are huge defensive walls which years ago protected the old city centre. It's a mix of cobbled alleys and cute steps. Turreted buildings and ornate railings. Every year the city holds the famous Umbria Jazz Festival, one of the most important in Europe, a Eurochocolate Festival and other high profile events in arts and culture. Lastly flights from the UK are very reasonably priced as no one really knows about it yet! If you are looking for an Italian city without crowds and an original royal atmosphere, grand Turin is your destination. The first capital of Italy in 1861 and a trendy city in many areas: food, wine, cinema, design, technology and sport due to hosting the 2006 Winter Olympic Games. Martini, Nutella, Lavazza, Slow Food, Fiat and Juventus are all from here as well as many Italian biscuits, vermouth (di Torino, of course!) and aperitif! An 18th century city with long porticoes that cross the city centre up to the river, Turin is full of elegant piazzas, both royally large and intimately tiny. Mole Antonelliana - the tallest building in Europe, is the city symbol and it hosts a great cinema museum to remember that Torino was the Hollywood of silent cinema back in 1910s. Any season makes this still a non-touristy city and a great place thanks to its varied specialties, many exhibits (Top Egyptian collection in the world!) and events, like Turin Epicurean Capital on June 20-22. Follow Lucia on www.turinepi.com to get to know more about her event and to experience Torino's vida royal like a local! Vicenza, a Renaissance city located on the hills of the Veneto region, is the perfect choice if you’re staying in Venice or Verona and you’re looking for another destination for a day-trip. 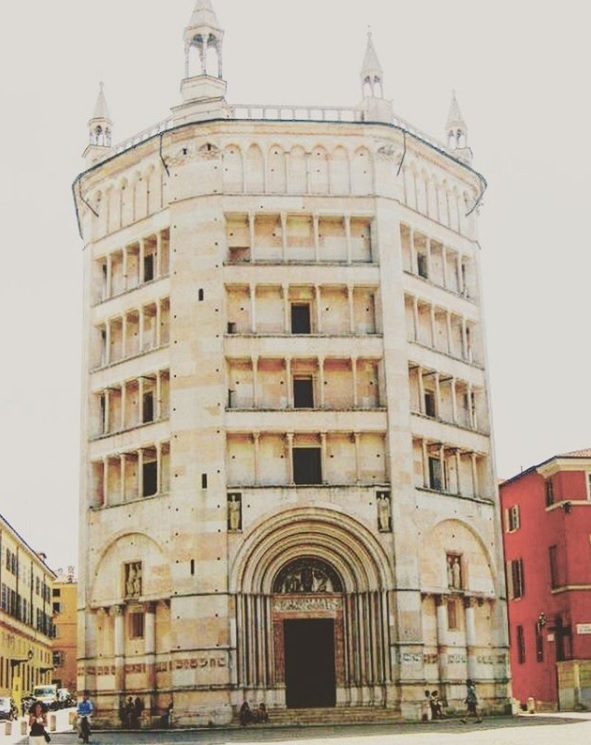 Just 40 minutes away from Verona and 1 hour from Venice by train, its monuments are all in the small city centre and it’s a great pick for all those tourists who do not want to walk for long distances while visiting. Often nicknamed “The City of Gold” for its flourishing industry related to jewellery and “The Capital of Architecture” for the works of the genius Palladio, its city centre has also been described by intellectuals as “a scenographic invention” and even as “a small Rome”. Piazza dei Signori, the famous Venetian villas in the immediate outskirt of the city, and Teatro Olimpico, the swan song of Palladio and the world first enclosed theatre of the modern era, are not to be missed. I hope we've inspired you to take some Italian city breaks this year? Which cities have caught your eye?